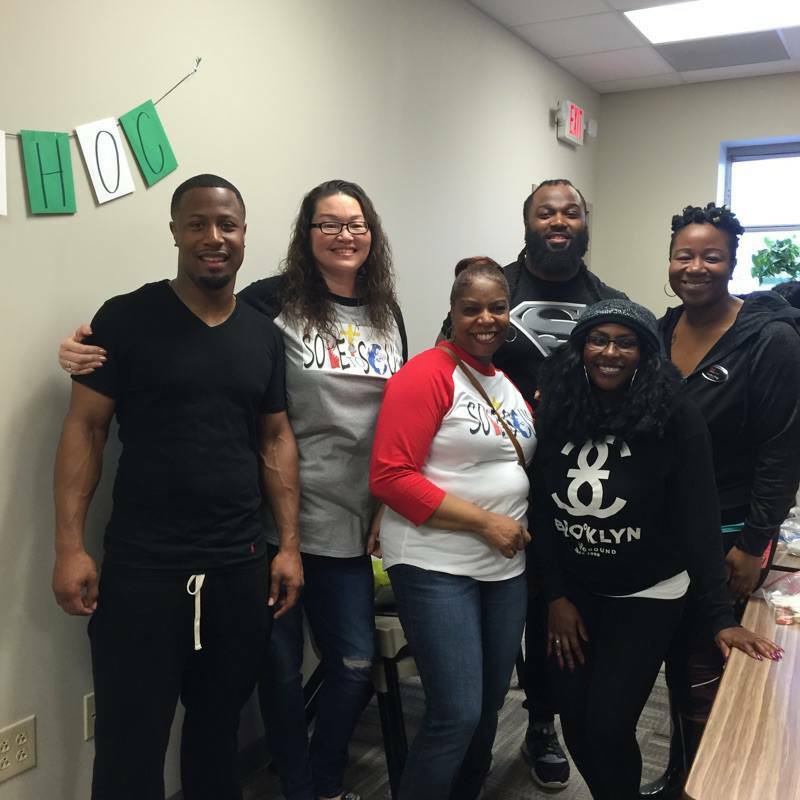 We operate programs to fulfill our mission of impacting and changing lives, through servicing the needs of the less fortunate in our communities, including the homeless, disadvantaged youth, single parent families, and under-served seniors. Thanksgiving is a time to celebrate the abundance of God’s many blessings in our lives. It is also a time to recognize that there are many who are struggling. Thank you to everyone who came out to serve a hot meal and share a conversation with our friends who are experiencing a difficult time. Happy Thanksgiving and here’s to a Fabulous Holiday Season! May grace and blessings be in your path. 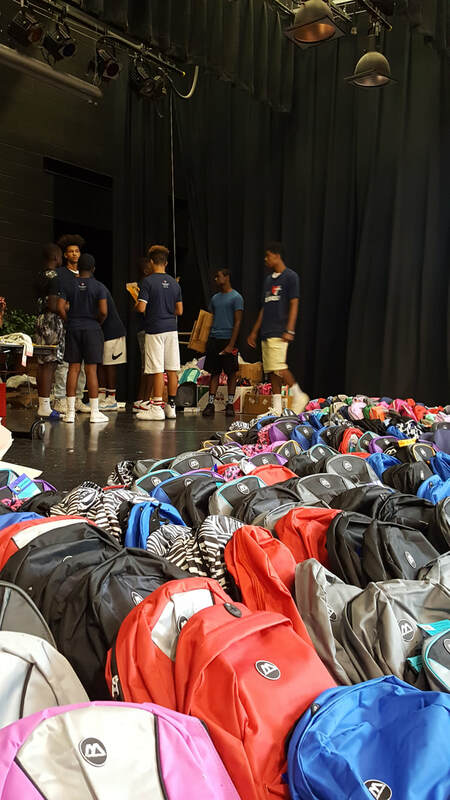 We have wrapped up our 5th annual Backpacks 4 Babies Giveaway! 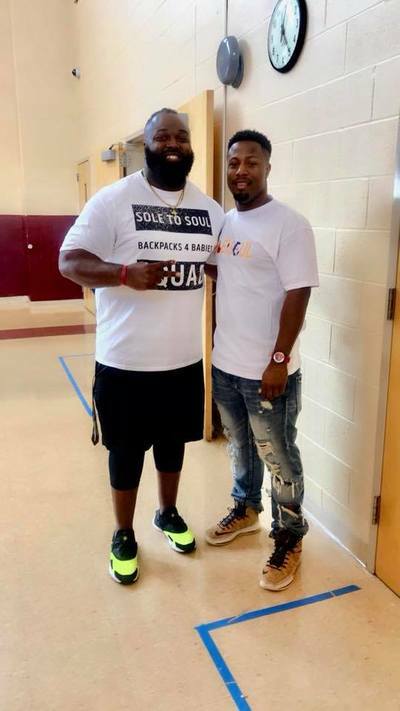 Thank you for supporting Sole to Soul and helping us collect school supplies and distribute backpacks filled with supplies to 503 children. 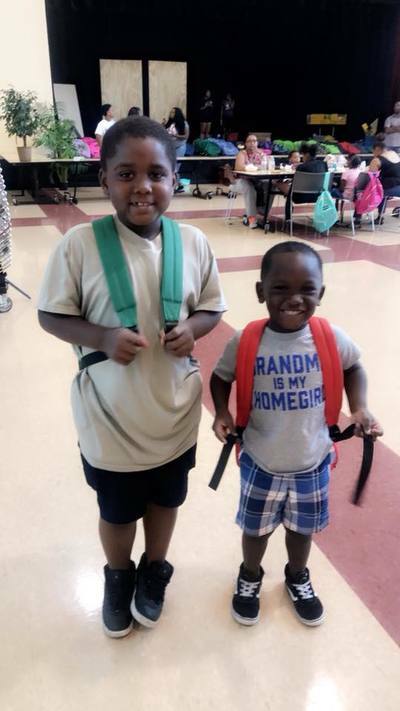 Thank you to Watlow Electric Manufacturing, Ameren Missouri and Great Southern Bank for holding school supply drives and/or donating monetarily. Your commitment to the community and helping those in need is extraordinary. 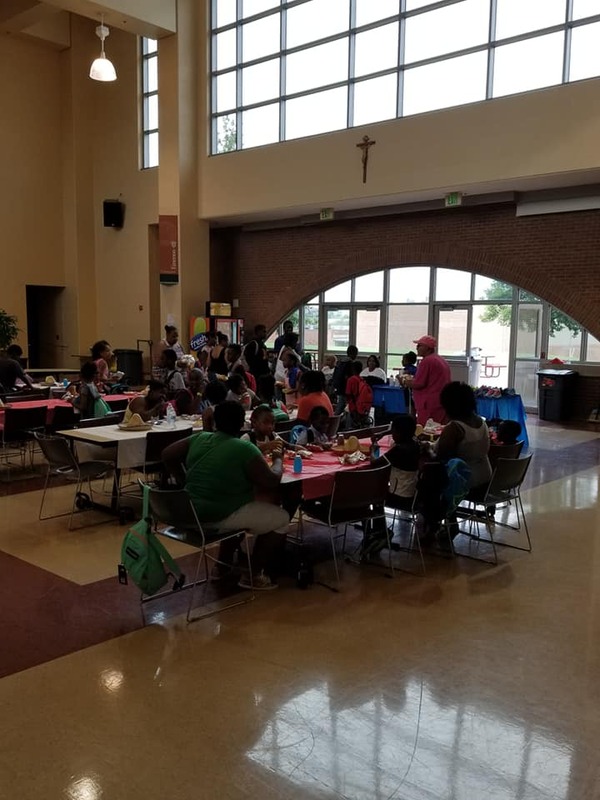 Thank you to President Tamiko Armstead and Principal Shante Lyons of Cardinal Ritter College Prep High School for allowing us to use their exceptional facility to hold this event each year. We are appreciative. Thank you to our board members and the volunteers who worked tirelessly to ensure a positive experience by all who attended. Thank you for spending part of your day with us and making a difference in our community. None of this is possible without your help. Thank You, Thank You, Thank You! In preparation for our annual Backpacks 4 Babies school supply giveaway, we are kicking off our BACK-TO-SCHOOL SUPPLY DRIVE to support local children. All donations should be NEW and delivered to Sole to Soul Charitable Foundation by, July 21, 2018. Please find list below. Thank you for your support. 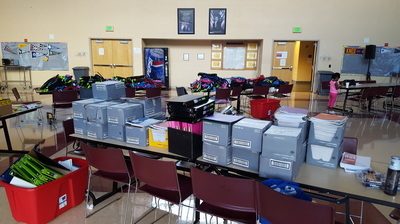 We will be sorting and filling backpacks on July 21st. If you would like to volunteer click the button below to sign up! What an AMAZING day spent at Watlow Electric Manufacturing Co! We are blessed and humbled to be one of your charity partners. Your support and belief in our mission means so much to us. Thank you for your commitment of helping people improve the quality of life in their communities and encouraging your employees to get involved in community activities. 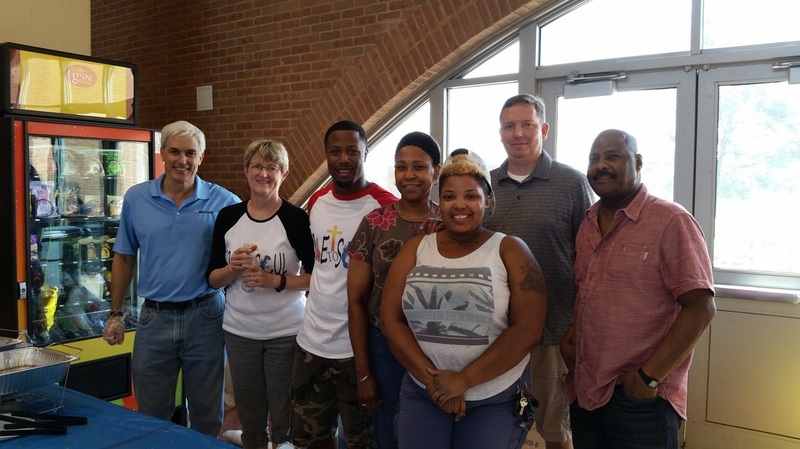 We enjoyed meeting new people and seeing employees who have volunteered with us to serve the less fortunate in our community. Your support allows us to walk out our mission. Thank You! A heartfelt THANK YOU to everyone who participated in the annul Feed My Sheep Chili Supper. This mission would not have been a success without our volunteers. With your help, we were able to provide a warm meal, toiletries, winter hats, gloves, scarves and sack lunches to 27 of our less fortunate brothers and sisters. We also donated chili and turkey sandwiches to Biddle House and Gateway 180 Homeless Services. Later, we took to the street and handed out sack lunches downtown. Thank you Judy Lindquist for shopping and preparing the chili again this year. 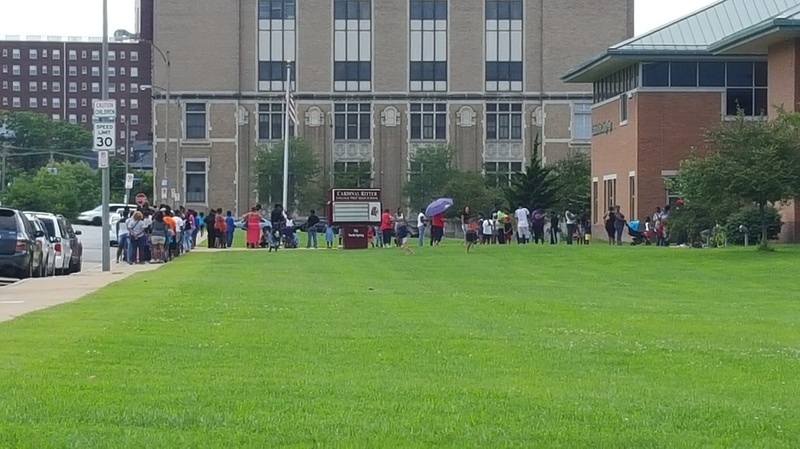 Many thanks to the administration of Cardinal Ritter College Prep for continuing to allow us to do community outreach from their amazing facility. Thank you, Lady Lions B-Ball team, McCluer North Cheerleaders/Dance team and other students who sorted and handed out toiletries. Shout out to Phi Chapter of AYK for always answering the bell. Thank you to our board members for their commitment. As we head into the holiday season, lets remember the less fortunate among us and lend a helping hand. Praying the Lord's peace and blessings for each of you! The trunks were filled with candy. The kids came with smiles and great costumes for trunk or treat. Thank you Hot Wheelz Car Club and our sponsors for providing candy for the children. We love this event! We are collecting unopened, individually wrapped bags of candy. 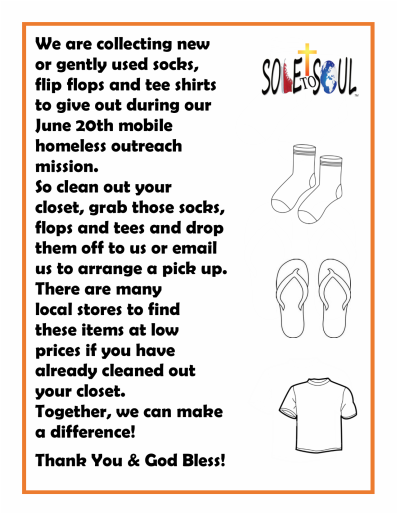 Please email us for a pick-up or drop-off, info@soletosoulfoundation.org. Thank you for you continued support and see you and your little ones on the 28th. 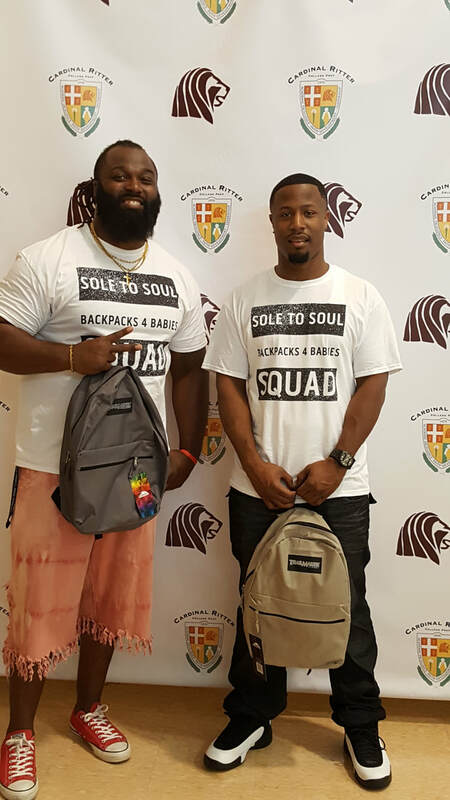 THANK YOU for supporting Sole to Soul Charitable Foundation throughout our Backpacks 4 Babies School Supply Drive and Giveaway. 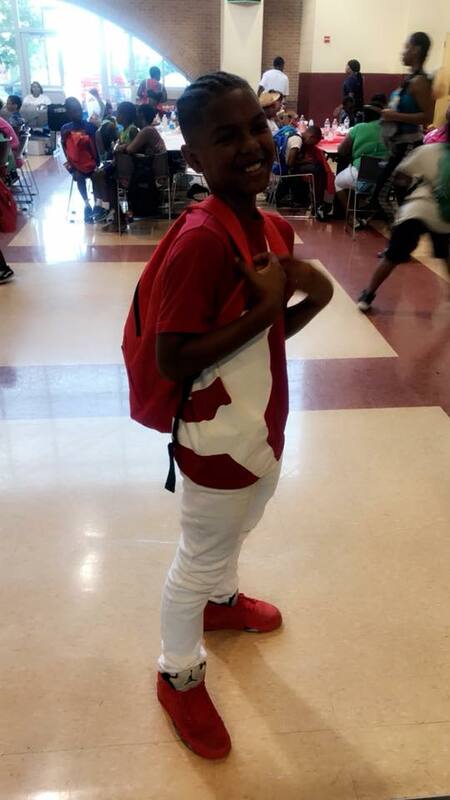 With your help, we were able to provide backpacks and school supplies to 347 kids in need in the St. Louis metro area! Thank you to Great Southern Bank, Parallon, St. John’s United Christian Church in Manchester ,The Smith Scholarship Foundation, and Watlow Manufacturing for holding school supply drives and/or donating monetarily; as well as volunteering your time, before, during and after the giveaway. You are committed to the community and helping those in need. 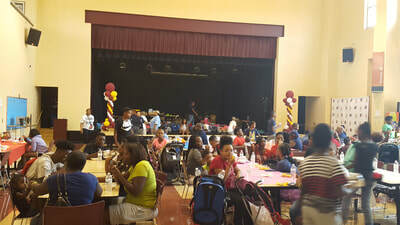 Thank you to President Tamiko Armstead and Principal Michael Blackshear of Cardinal Ritter College Prep High School for allowing us to use their extraordinary facility to hold this event each year. We are forever grateful. 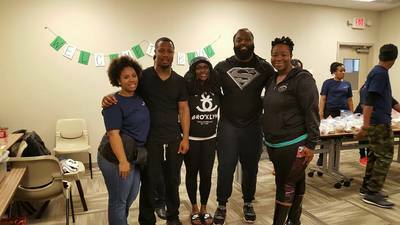 Thank you Bruhs of Phi Chapter Ayk of Alpha Psi Kappa Fraternity, Inc for helping with Backpacks 4 Babies three years in a row. Your commitment to service in the community is remarkable. Thanks to Coach Annitre and Coach Derek for having their boys basketball team volunteer their time. 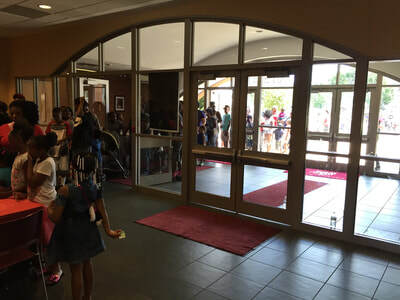 Thank you to our board members and the countless others who volunteered their time and talents working in the background to make sure that every parent and child who walked through the door have a great experience. We appreciate your support – thank you for making a difference in our community. We always remember that none of this is possible without YOU. Thank you, again! 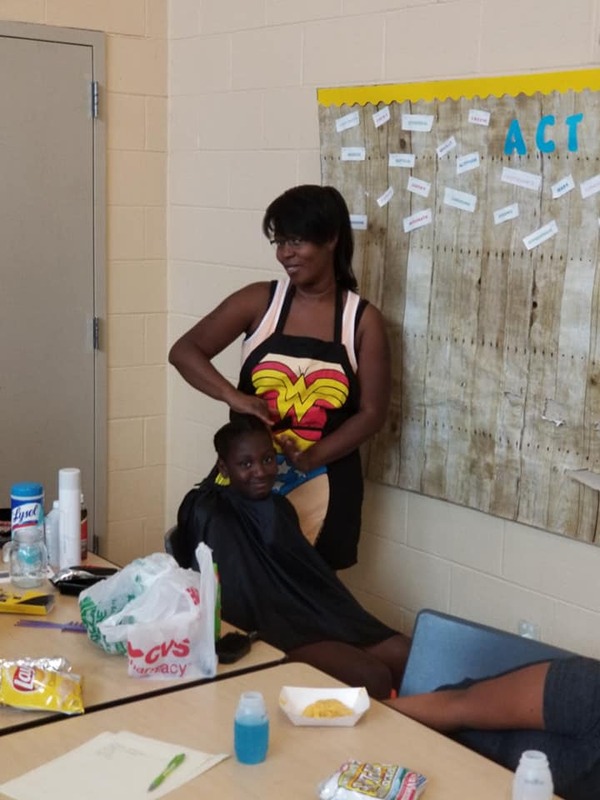 NOTE: child’s hair must be shampooed prior to receiving hairstyle/haircut. 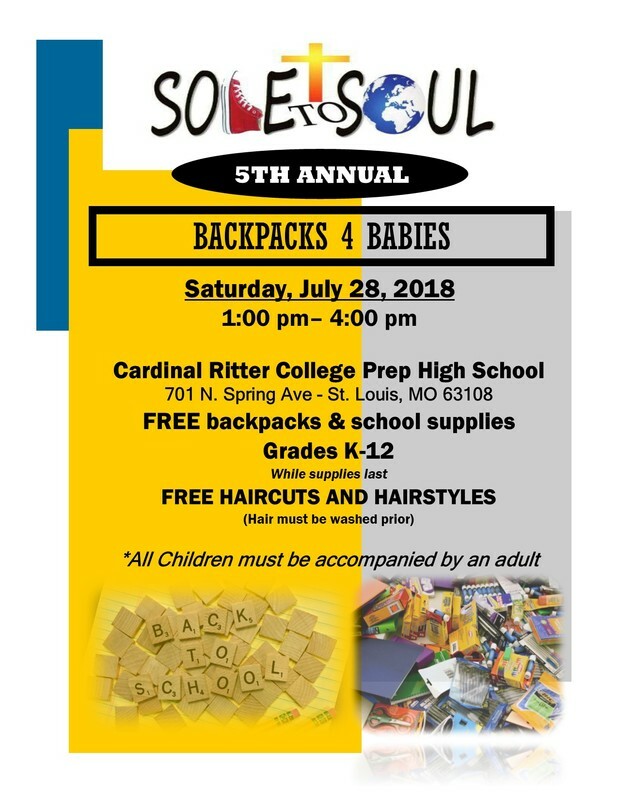 Sole to Soul Charitable Foundation is gearing up for its annual Backpacks 4 Babies school supply giveaway, which will be held on, Saturday, August 12, 2017 at Cardinal Ritter High School. In preparation for the event, we are pleased to kick off our back-to-school supply drive to support local children. This program is possible because of the individuals, businesses, and congregations who donate time and goods. 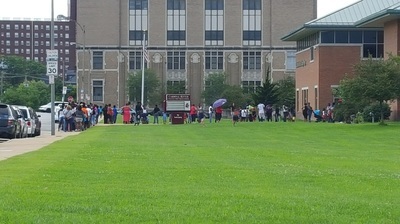 Each year your efforts enable us to provide much needed school supplies to hundreds of St. Louis City school children. 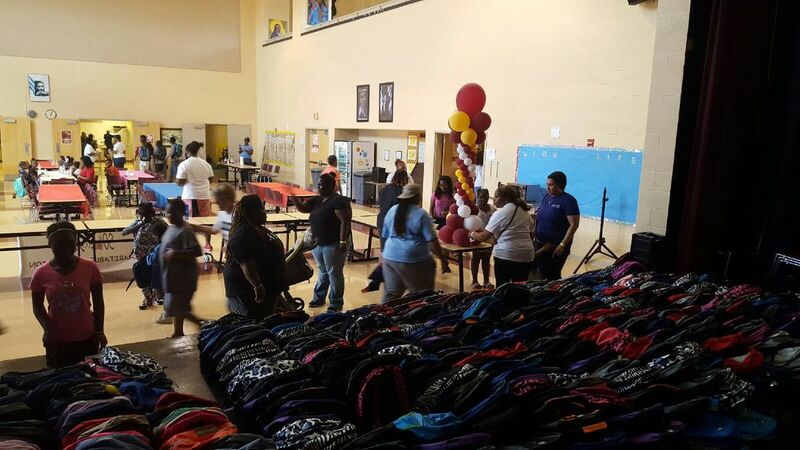 This year, we expect to equip 600 children with backpacks and school supplies they need to be successful. We need your support! To help make the upcoming school year a success we are asking for donations from the list below. All donations should be new and delivered to Sole to Soul Charitable Foundation by, August 1, 2017. For questions regarding sponsorship's or monetary donations, please contact Bernard Quinn at bernard@soletosoulfoundation.org. We want to express our appreciation for your generosity in donating to Sole to Soul on GiveSTL Day. Your assistance means so much to us, but even more to the people we serve. Thank you and may God continue to bless you all. 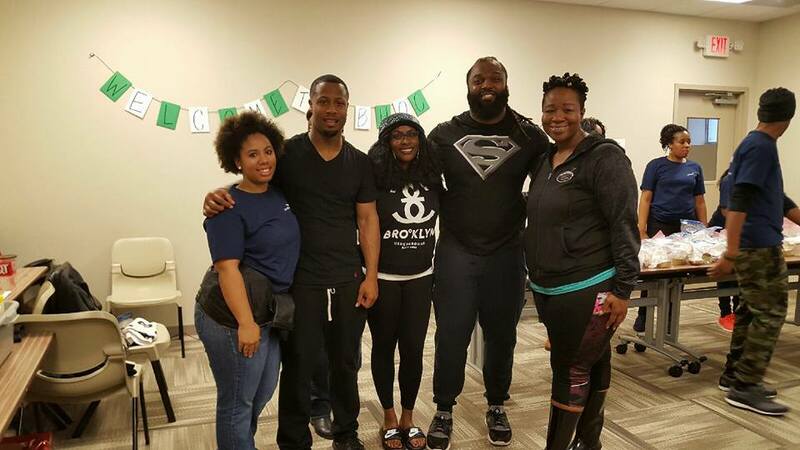 Thank you to everyone who came out last Saturday to serve our brothers and sisters in need. We know the weather wasn't ideal, but neither is homelessness. Thank you to everyone who donated items to make this mission possible. God bless you! Underwear is one of the most requested, but least donated items to homeless shelters. Underwear is most needed because it is a clothing item that everyone wears, every day. Also, many homeless people don’t have a place to do laundry, so underwear needs to be replaced frequently to protect hygiene and personal dignity. To help fix that, we need your help. We are collecting NEW underwear (M,L,XL) , in their original packaging for men that receive services at a local homeless shelter. The shelter is also in need of shower shoes (flip flops) in larger sizes. All of the items collected will be delivered on, April 29, 2017 to Biddle Housing Opportunities Center where the items will be distributed to individuals as needed. 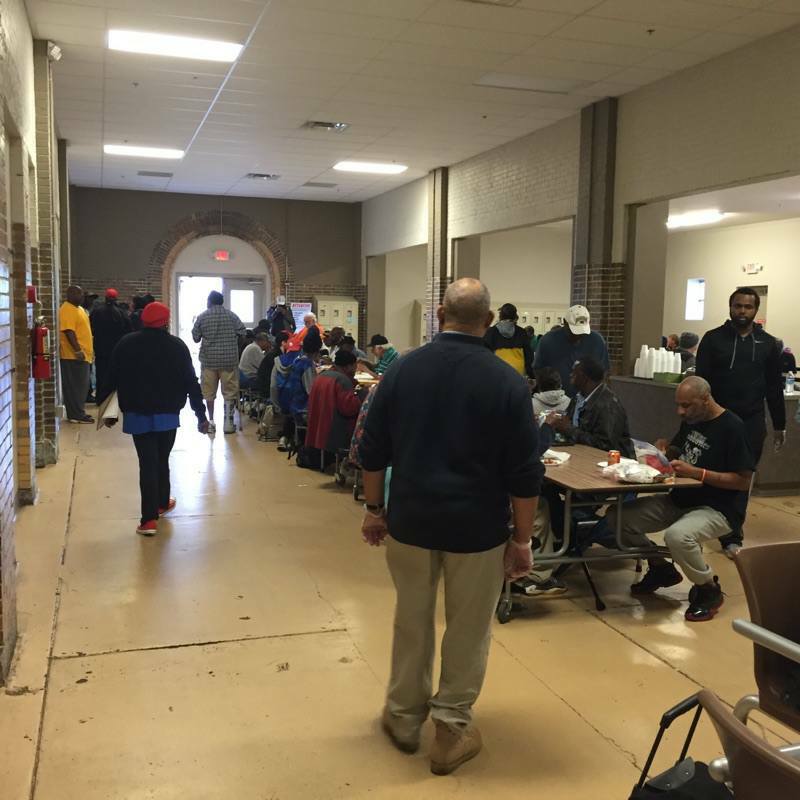 Biddle House provides services for up to 125 people during the day and shelters up to 98 men overnight. Those who want to make a monetary donation toward the purchase of underwear and shower shoes can send checks to: Sole to Soul Charitable Foundation, P.O. Box 25856, St. Louis, MO 63136 or click here to make a secure online donation. As always, thank you for your support. We cannot help others without you. God bless you! Seven hundred people experiencing or at risk of homelessness are killed from hypothermia annually in the United States. Hypothermia remains a leading, critical and preventable cause of injury and death among those experiencing homelessness. These items will be handed out during our December mobile outreach mission which serves our homeless and less fortunate brothers and sisters. 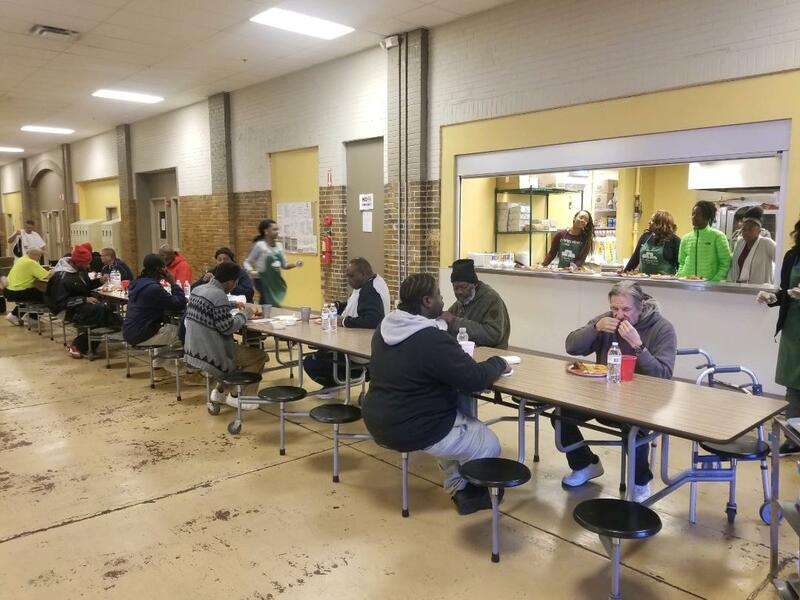 Thank You, to the volunteers who helped us provide a warm meal to 45 people (including families) in our community who have fallen on hard times. Judy Lindquist for shopping and preparing the chili, to Cardinal Ritter College Preparatory High School for allowing us to host our friends in their beautiful facility, to the President's Task Force, CRCP Lady Lions Basketball team and Coach Daren Wade who helped sort and distribute hygiene bags, pack to-go lunches and other miscellaneous tasks. Many thanks to Watlow employees who helped serve and hand out to-go bags. We are grateful to all those who served behind the scenes. None of this is possible without your commitment to helping those in need. Thank you for volunteering and giving the most precious thing you will ever own – your time and talent. As we prepare to visit with family and friends and gives thanks for how the Lord has blessed us, please do not forget those in our community who are less fortunate. Let's support them on most days...not just holidays. God bless you and have a Happy Thanksgiving! We had a great time tonight. Beautiful weather and so many great costumes. Many thanks to Cardinal Ritter College Preparatory High School for allowing us to use their amazing facility! Children 14 and under must be accompanied by an adult. HIGHLIGHTS FROM THE 3RD ANNUAL BACKPACKS 4 BABIES BACK TO SCHOOL GIVEAWAY! Your donations to Sole to Soul fund our programs that help the homeless, disadvantaged youth, single parent families, and under-served seniors in our community. Thank you for your continued support. May 3rd is Give STL Day. Check out www.givestlday.org and support Sole to Soul and other nonprofits. 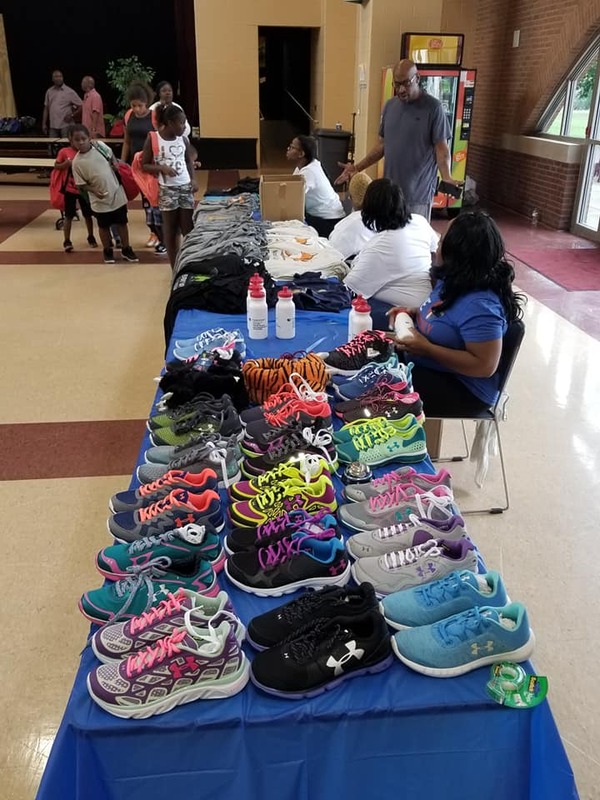 Last year, your Give STL Day donations enabled us to walk out our mission of impacting and changing lives, by meeting the needs of the less fortunate in our communities by providing basic necessities. We're counting on you again this year. Become part of the solution. THANK YOU, to the employees of Watlow Electric Manufacturing Company for collecting baby shower items (see below) for Almost Home, a local agency that helps to educate, equip and empower single moms to better their lives, and those of their children. The staff at Almost Home was very appreciative for the items. Watlow employees, you guys ROCK and are making a difference in your community. Thank you for your commitment to enrich the lives of others. Each of these men have a story. We support and commend all of those dedicated to our homeless community. Please support the collaboration of local groups in their endeavors/solutions for our homeless community. Sarah chose to celebrate her birthday by having a party with our homeless friends in the city. You are such a giving, loving, beautiful soul. We love you! 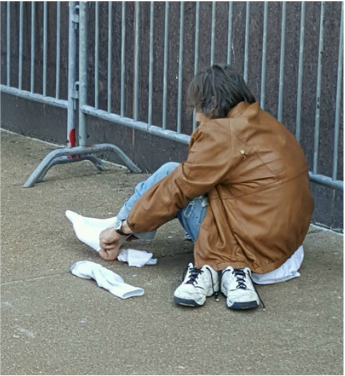 A major SHOUT OUT and huge THANK YOU to students at Parkway South High School for collecting socks to be distributed during our Mobile Homeless Outreach Mission on Saturday, 2/20/2016. Socks, such a simple, basic need! But for many of our homeless friends socks are a luxury. 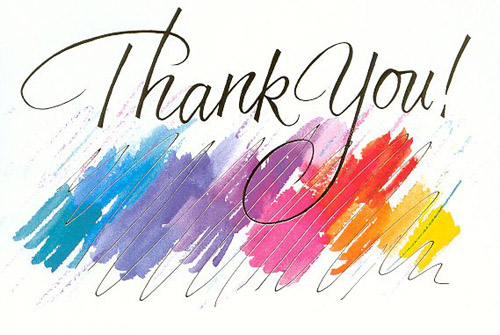 A huge “THANK YOU” to everyone who shopped, donated and volunteered to make sack lunches and assemble hygiene kits, and then hand them out to our homeless neighbors on January 23rd. 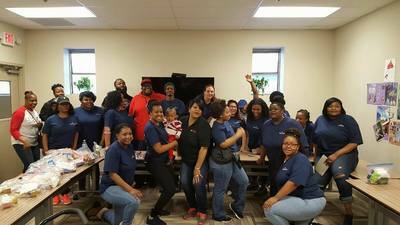 Together we assembled and distributed 75 sack lunches (each included fruit, chips & bottled water), 50 hygiene kits, 100 hand warmers, numerous coats, blankets and shoes! We do this outreach monthly so, SAVE THE DATE: The next one is, Saturday, February 20th from 1:00 p.m. – 3:00 p.m.
Deodorant, Toothbrushes, Toothpaste, Dental Floss, Soap, Washcloth, Travel sized Kleenex, Feminine Hygiene Products, Disposable Razors, Shaving Cream, Shampoo, Conditioner, Hand Sanitizer, Lip Balm, Hand/Foot Warmers, Combs/Brushes, Ziploc Bags. Please consider holding a Personal Hygiene Kit Drive at your office, church, school or social organization. We would be so appreciative. The need for these items is huge for our homeless and needy friends. Thank you for partnering with us and making a difference in the community. God Bless! 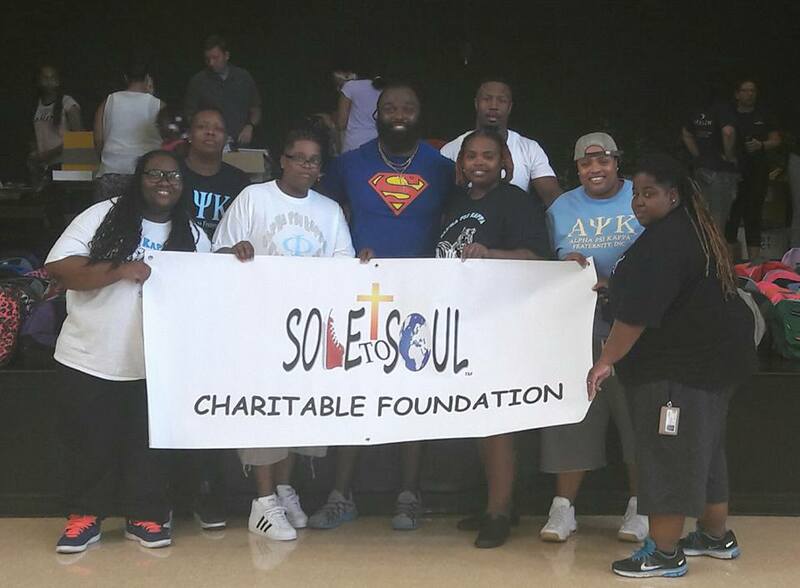 As we stand on the doorstep of 2016, we want to take a moment and thank you for your generosity to Sole to Soul Charitable Foundation in 2015. You have impacted many lives. 1850 meals were prepared and served to the needy and homeless in St. Louis! 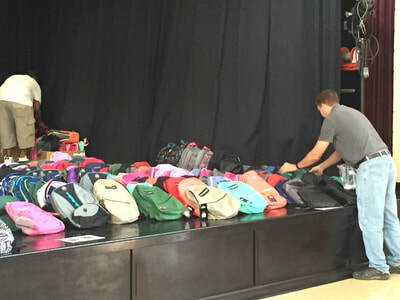 253 children were able to go back to the classroom with new backpacks and school supplies that were donated to the 2nd annual Backpacks 4 Babies Back-to-School Event! 3132 diapers and 1000 wipes were donated during our first Christmas Diaper Drive to benefit an organization that inspires teenage mothers to create a better life for themselves and their children. 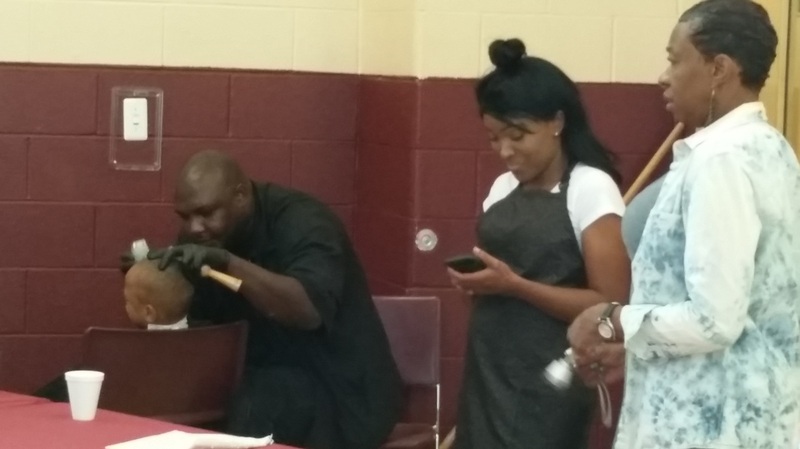 475 personal care packets were handed out during monthly Mobile Homeless Outreach missions. 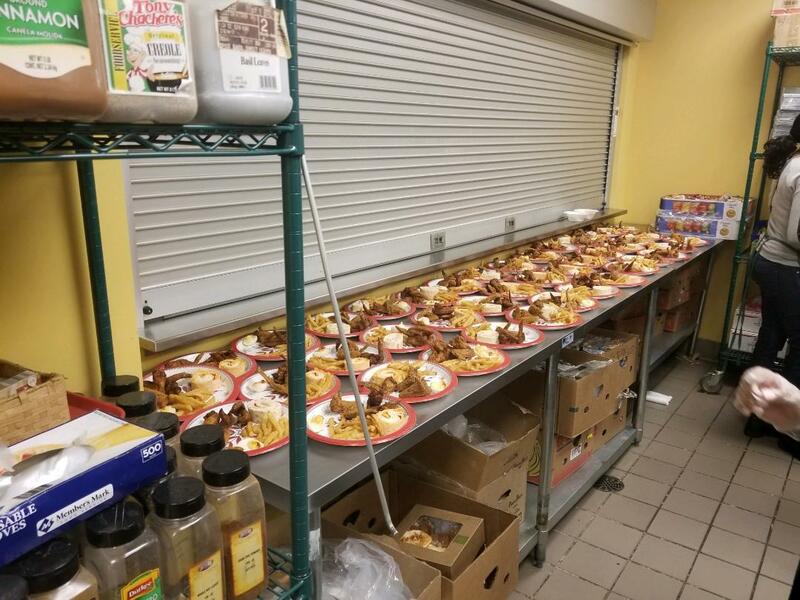 50 of our homeless friends were served a hot, sit down, Thanksgiving dinner. Countless clothes, shoes, socks, flips flops, tee shirts, coats, hand warmers, hats, gloves, sweaters and scarves were collected and given to homeless and needy families. Because of your generosity you helped make these outreaches possible and impacted the lives of many people. None of this is possible without YOU! We pray that you will continue to partner with us in 2016. If you would like to make a donation, simply click HERE. Peace & Blessings in the New Year. A huge THANK YOU to everyone who donated to our diaper drive and to Great Southern Bank in Ferguson, MO for acting as a drop-off location, and to Watlow Electric (St. Louis facility) for collecting diapers. Because of YOU, we were able to deliver 3132 diapers and 1000 wipes to Almost Home. 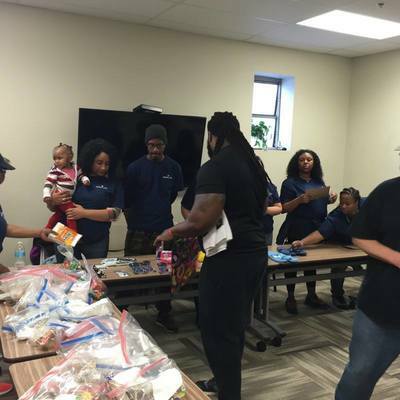 They were so appreciative as the need for disposable diapers is ongoing and critical. Thank you for helping keep the babies dry, healthy and happy. None of this is possible without your generosity and continued support. God bless you all. We know many of you wanted to volunteer that day, and we have enough onsite volunteers. We can use your help with the items on the list below. We want to have these things on hand to give to each person. Thank you for your continued support. We will be happy to pick up your donated items. Volunteers have been a valuable part of our charitable foundation since it first started in May 2014. We just simply could not do anything without them. 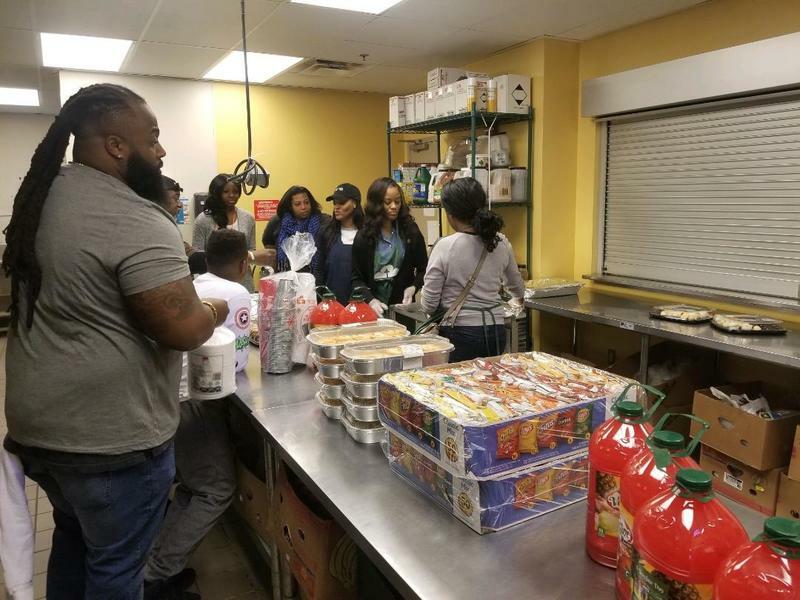 They collect and sort donations, prepare and serve food, donate their time and talents, mentor youth, provide prayer and various other important tasks. 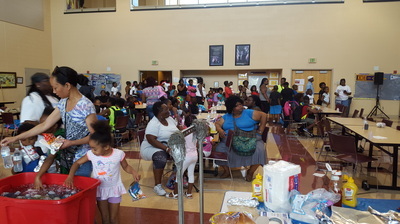 We would not have been able to pull off our 4th of July picnic for the less fortunate today without the volunteers who put so much of their time and energy into putting it together, and making it happen. A big shout out to Sarah Grady and Judy Lindquist. You ladies are truly a Godsend. 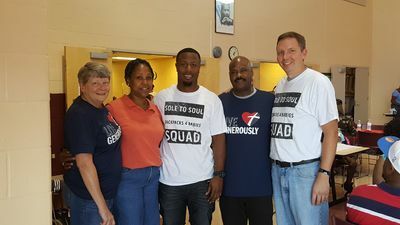 If you know anyone who volunteers for Sole to Soul, or for any other organization, take a moment to let them know how much their time and energy are appreciated, and how much their contributions mean to our community and to the individuals they serve! THANK YOU to everyone who came out today to help serve. 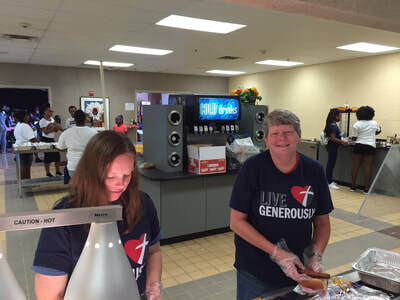 We realize you could have spent the 4th of July with your family and friends, but chose to spend some time serving those less fortunate in our community. God bless you for your servant’s heart. If you haven't LIKED our Facebook page, please do so and invite your friends and family members to do the same. THANK YOU TO ALL WHO DONATED SOCKS, FLOPS AND TEES for our mobile homeless outreach mission. We were able to provide these items to our friends in need. God Bless you for your generosity! A huge "THANK YOU" to everyone who came out and supported Sole to Soul today by dining at Panda Express. Your support changes lives! Dine and support SOLE TO SOUL CHARITABLE FOUNDATION, a 501(c)(3) non-profit organization that provides daily essential resources (food, clothing, shoes, toiletries, housing and transportation) for the needy, homeless and less fortunate in the St. Louis metropolitan area and beyond. We operate five programs to fulfill our mission. 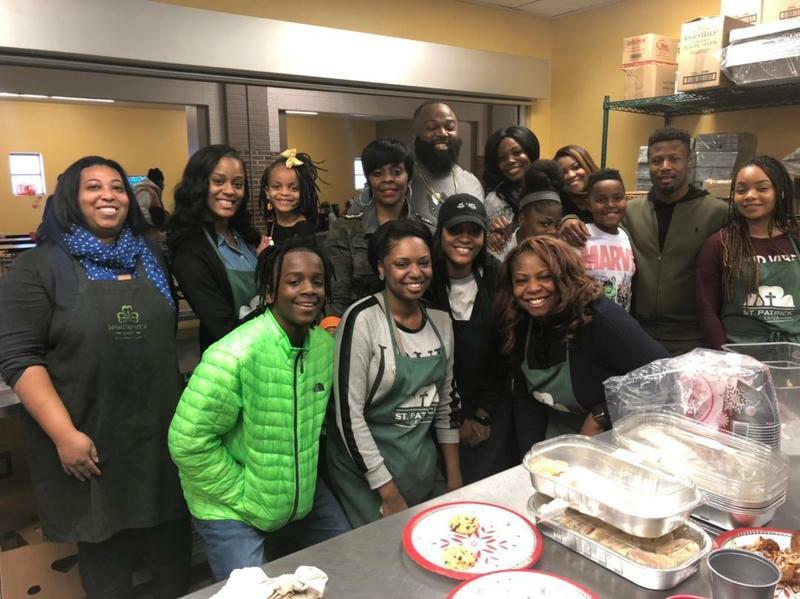 One program serves the homeless in our community; one serves school aged children; one serves single moms and their children; one serves local needy seniors; and the last serves Thanksgiving dinner to the needy and homeless. 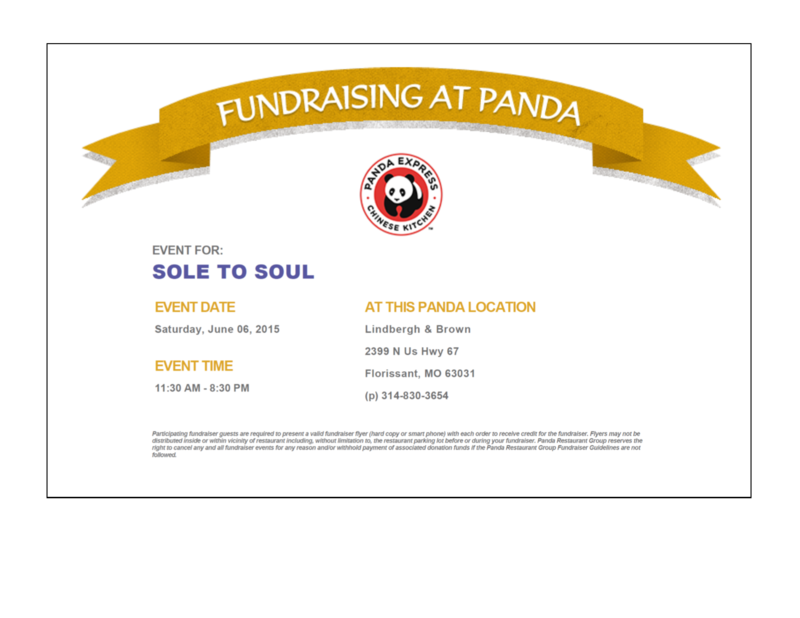 Present our flyer at Panda Express, 2399 N. US Hwy 67, Florissant, MO 63031 on Saturday, June 6, 2015 from 11:30 a.m. to 8:30 p.m., and 20% of your purchase will be donated to Sole to Soul Charitable Foundation! Click here to download flyer (or show it on your smartphone when ordering at Panda Express). Thank you for your continued support. None of this can be done without you. God Bless! THANK YOU to everyone who came out in the rain this afternoon to feed those in need and hand out clothes and hygiene kits. We know that hunger and homelessness continue despite the weather. Your gift of time is priceless. Thank you for lightening the burden of others. Together we can make a difference. God Bless You! See you next time. If you have not joined us to help provide basic necessities to the less fortunate who live our community, please consider making it a priority to get involved and make a difference. Our mobile outreach mission serves people who are struggling. Some of the people we serve are homeless and others are living with “less than conditions.” Less than permanent housing, less food than a home should have, less clothing and other basic necessities they need to survive. Through service, we give others the things they lack, and we find meaning and fulfillment to our own lives. Whatever gifts we have been given -- large or small -- we should share generously. When we do, we make the world better for someone else and find true meaning and satisfaction in our own lives. Prayerfully consider donating to Sole to Soul and be a part of our mission of, impacting and changing lives, through servicing the needs of the less fortunate in our communities, cities and beyond; on the basis of Faith, Love, Loyalty, and Stewardship. ACTS 20:35. Please click here to review our programs and learn how you can help make a difference. We cannot do this without you. God Bless! Senior citizens are one of our most vulnerable populations in our society, with many seniors living below the poverty line. 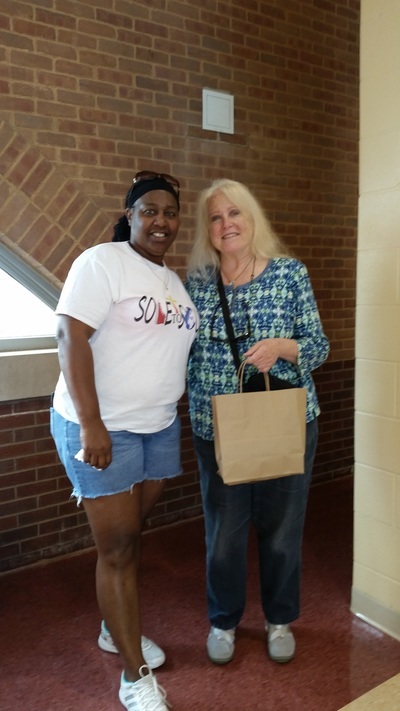 The goal of the Serving Seniors Project is to provide healthy food to needy senior citizens who reside in the City of St. Louis and St. Louis County every month, in the hope they are not forced to choose between food, medicine, utilities, or rent/mortgage payments. 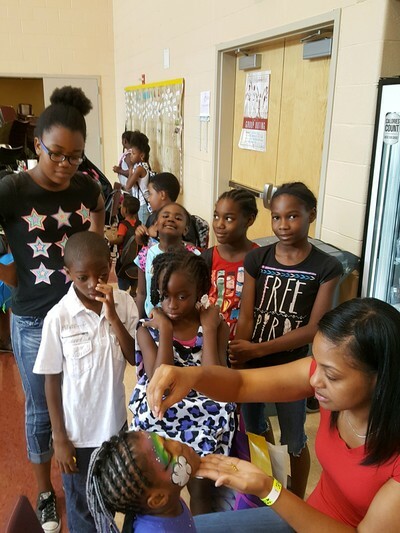 We are committed to providing nutritious food to needy area seniors each month to help them live active, healthy lifestyles. Paper products, cleaning products, and personal care items are also provided each month. We are actively seeking donations for this program. Please click here for a list of items needed. We want our Serving Seniors Project to provide long-term support to our needy senior citizens on an emotional level also. We want to foster positive social relationships with seniors, help them to have a positive self-image and see themselves as a healthy and vital part of our society. We could not serve the needy in our communities without your support. Thank you for your generosity. We will be happy to pick up donations. If your group or organization wants to hold a drive to collect items please click on the "Contact" tab and send us an email for details. ﻿In spite of the snow, sleet and cold temperatures the Mobile Homeless Outreach Mission took to the streets and fed 75 people, gave out 20 pairs of shoes, 35 pairs of socks, 25 hygiene kits, countless cups of hot chocolate (some with marshmallows), and Judy Lindquist's famous homemade cookies! THANK YOU to the volunteers who braved the elements and helped serve vulnerable people in our community. We could not do this without you! God Bless You. We have the opportunity to meet and share experiences with a wide variety of people through the outreach of the foundation. Please remember in your prayers the following people, who Sole to Soul Charitable Foundation has been blessed to recently impact.